Congress leader Saifuddin Soz on Friday said that he would have kept Hizbul Mujahideen terrorist Burhan Wani alive if it was in his power. The Congress leader further said he would have held dialogue with the Hizbul terrorist, if he was alive. "If it was in my power I would have not let Burhan Wani die. I wanted to hold a dialogue with him. I would have made him understand that a bridge of friendship between Pakistan, Kashmir and India can be built and he could also be useful in that. But now he has died. We should understand the pain of Kashmiris," Saifuddin Soz told ANI. Meanwhile, security has been beefed up in the Kashmir Valley ahead of Wani's death anniversary. Wani, who was the poster boy of the terror outfit Hizbul Mujahideen, in Kashmir Valley, was gunned down in an encounter in Anantnag district of Jammu and Kashmir on July 8 last year. Widespread protests erupted in the Kashmir valley after Wani's death and curfew was imposed for consecutive 53 days. However, the unrest continued for about five months after Wani's death in which 78 people, including two police personnel, were killed. 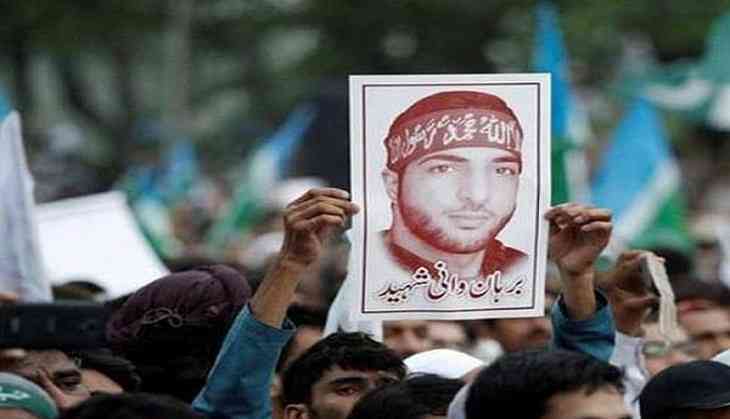 Considering the unrest post Wani's death, the Jammu and Kashmir government had also ordered house arrest of separatist leaders like Syed Ali Shah Geelani, Mirwaiz Umar Farooq, and Yasin Malik. This year till June, Pakistan supported terror outfits like Hizbul Mujahideen and Lashkar-e-Taiba have launched around 22 attacks in Jammu and Kashmir in which 16 civilians, 57 security personnel have been killed. The security forces also 102 terrorists.